Hemley’s Septic was started by Richard and Annetta Hemley in 1962. Richard Hemley was working for a company that repaired septic systems at that time. When a truck came to Gig Harbor from Tacoma to pump a customer’s Septic System, Richard Hemley had an idea. With the support from his wife Annetta the two started to recycle cans to save money to buy their first pump truck. 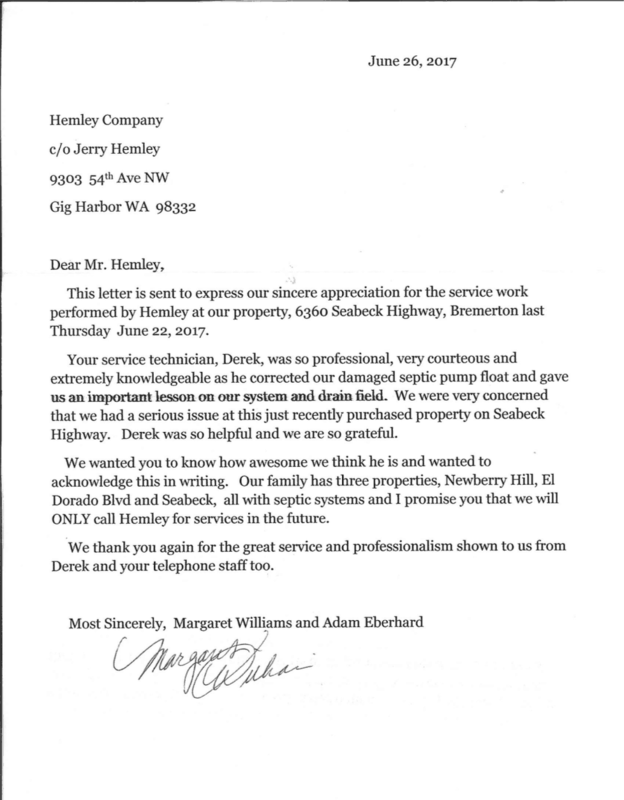 In 1962 they purchased their first pump truck and Hemley’s Septic in Gig Harbor was formed. Richard and Annetta Hemley had two children Jerry and Delpha. Jerry started working for the company when he was 15 years old. As soon as he got his drivers’ license he went on his first call. In 1990, when his parents retired, Jerry Hemley took over the family business. In 2002, Jerry married the love of his life Christi Hemley. Not even a year later their daughter Jessica was born. Jerry and Christi Hemley are the proud owners of Hemley’s Septic now. Richard and Annetta Hemley both share a passion for classic cars. They also enjoy camping and spending quality time with their family. Jerry and Christi Hemley also enjoy classic cars, and doing weekend getaways trips with their daughter Jessica. 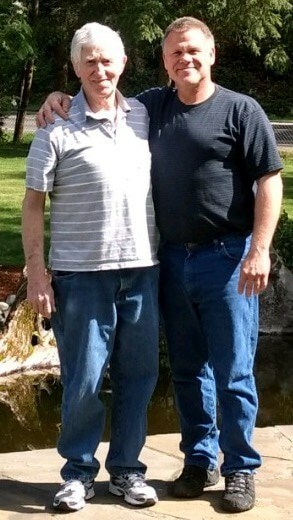 Jerry Hemley also enjoys motorcycle racing and spending time at their weekend getaway home in Cle Elum. The Hemley’s share the passion for the Septic Business and have strived to be the best in their industry in the Gig Harbor and surrounding areas. You will often see Jerry Hemley running calls, and Christi Hemley answering the phones in the office. They love what they do, and share that passion with their loyal customer base.